In one of our latest blog posts, we took a look at the 5 Differences Between Construction and General Industry Confined Space Rules. Again, I think it is worth it to emphasize that even if employees on a site do not enter or manage a confined space, the presence of a confined space in the work environment triggers the necessity to train personnel to at least the awareness level. As safety professionals, the General Duty Clause is relevant to the conversation as well. Does the statue apply to our organization? If it does, it needs to be integrated to the current program by statute. This part is relatively simple. If your organization operates in environment where construction is occurring, then the answer is “yes” (regardless of whether or not crews participate in construction / confined space activities). For organizations that don’t operate in the construction environment, there’s not much else to talk about. *The exception would be organizations that have a strong safety culture and are interested in the more protective provisions of the new statute. Once you (or your organization) have made the decision and commitment to integrating the new regulation into the safety management system or safety program, the rest is relatively straightforward depending on how your organization manages change. The next steps involve ensuring that change is accomplished in a systematic, accountable manner. An ANSI/ASSE Z10-, OHSAS 18001-, or ISO-45001 compliant management system is helpful here, as it provides a framework for addressing change. There are other change frameworks that can be utilized instead of a SMS, but they usually do not help sustaining the change. If there’s no SMS in your organization, consider using a Before Action Review/After Action Review (BAR/AAR) framework to help with implementation (HBR has a neat package for After-Action Reviews if you need help getting started). Irrespective of the framework you choose to implement change (that’s another blog post for a different time), the next step is to compare and analyze the two regulations. Depending on the complexity and length of the rules, a simple side-by-side comparison can usually help visual the structure of the rule, and help you to identify the different aspects. 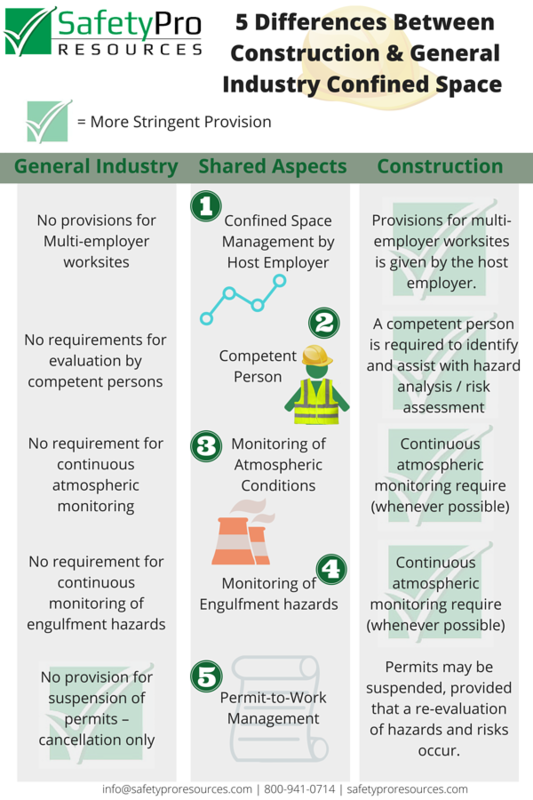 For example, the infographic included below can help you identify and select the more protective provisions of the two rules (in this case, confined space). Employee Involvement – use of a cross-functional team to assist with development and implementation of the processes not only satisfies your organization’s commitment to employee involvement in the management system, but gives you immediate feedback on revised systems/processes, establishes employee ownership which in turn gives you de facto field champions for the revised program. Training and Records – a program revision not only requires a revision to the safety manual, but also to internal training programs (or triggers a re-evaluation of vendors, requirements, etc. for external training programs). Monitoring and measurement – this becomes a consideration if the revision to the program changes the way the organization measures (and controls) the process. The revision to the program may invalidate the previously selected metrics, or make them an ineffective / inefficient way of monitoring the process. 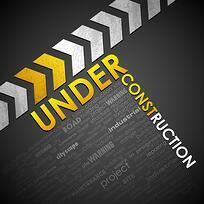 Audits / audit logs – these documents usually need revision or updating dependent on the impact and scope of change. The audit log should reflect the state of the desired (implemented) system. Addressing these aspects of change and implementation can ensure that any change is lasting and that the management system / program conform to legal and other requirements. The final step to this entire process is actually completing an internal audit, and then ensuring that continued audits are scheduled. This should be done no later than 1-2 months following implementation for this simple reason: “what gets measured, gets done.” As a corollary, an audit is a high-visibility tool to ensure that the implementation is complete, and that it was important enough to receive management’s (and your) attention. Hiring a third party safety consulting company can assist you in safety management system implementation, change management, auditing, and more. Click the button below to download our free outsourcing guide for more information.